We have been transforming dull outdoor spaces into amazing and enjoyable outdoor living spaces for over 25 years in Northern Virginia, Falls Church, Reston, Herndon, Annandale, Arlington, Woodbridge, Alexandria, Maryland, Great Falls, Washington DC, Fairfax Corner, Tyson’s, Fairfax City, Lorton and Ashburn. 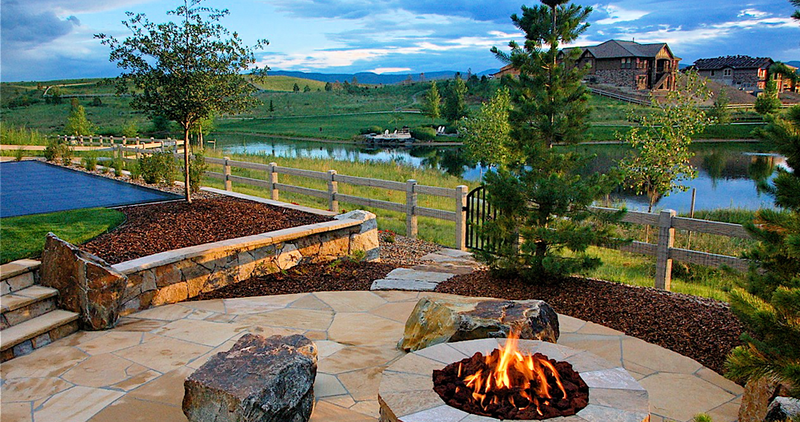 An outdoor fire pit differs from an outdoor fireplace in that it is ideal for entertaining guest. It provides 360 degrees of enjoyments as well as a campfire like setting. 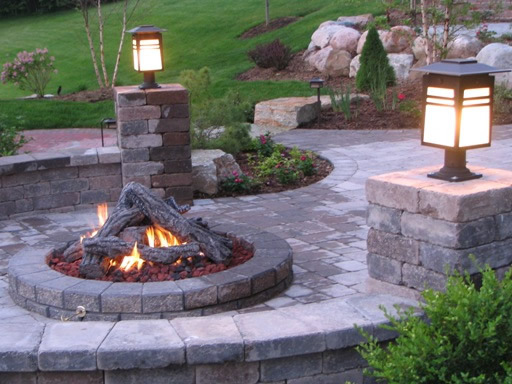 There are many backyard fire pit ideas and options and Pavers Driveways VA will help you choose a design that best fits all of your needs. A fire pit can very easily become the focal point of your outdoor landscaping. Pavers Driveways VA offers outdoor stone fire pits, outdoor brick fire pits, and outdoor concrete fire pits. 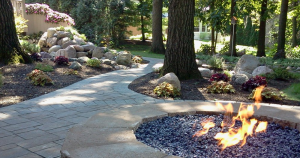 We offer various outdoor living landscaping ideas and outdoor living designs including outdoor kitchens, outdoor lighting, outdoor fireplaces, gazebos, fireplaces, and outdoor fire pits.